When it comes to septic tanks and systems, it’s pretty much never a DIY situation. A malfunctioning septic system can contaminate Boston drinking water supplies and cause flooding, as well as create sewage backup and biohazardous situations. If you need a septic system installed, pumped or repaired, hiring a certified Boston, MA septic professional is a no-brainer. 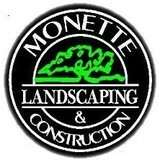 We at Monette Landscaping offer exceptional landscape craftsmanship and sincere commitment to service, a tradition we have provided to our customers for 60 years. Our designs strive to create dynamic garden spaces and attractive outdoor areas which convey a welcoming spirit. We implement the basic fundamentals of landscaping with imagination and harmonious planting schemes. Our expert knowledge of plant material, consideration of the northeast climate, and respect for architectural surroundings give us the ability to fulfill your landscape needs and desires. Monette Landscaping provides professional consultation along with free estimates. Business owner Richard P. Monette meets with every potential customer. Established in 1947 we have continually served the landscaping needs of Central Massachusetts. We employ a dynamic, hardworking, committed team that will create an exceptional landscape design and installation. We use top name products and pay attention to precise detail Monette Landscaping is a family run business. 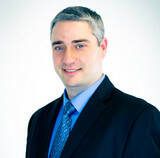 Richard, as owner, is involved in all aspects of the company's operation. Richard's wife, Kim, does the bookkeeping along with marketing and advertising. Richard and Kim's sons are also integral to the business. Eric (BS in Business Administration) and Jason (BS in Earth Science) have grown up with the company and now contribute in supervisory positions. They also stay current with the most recent innovations in the field by attending seminars and workshops on a regular basis. The family takes pride in the integrity and workmanship which has been and continues to be the cornerstone of Monette Landscaping. We will be happy to provide references upon request. Land Works is an owner operated company located in Scituate, RI. We specialize in professional septic system design, installation and repair services. 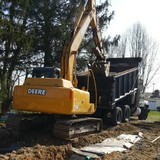 We also provide general excavation and trucking services. Jacobs Driscoll Engineering is a land development engineering and land surveying firm located in the Metro South area of Massachusetts. We provide land development permitting, civil engineering, and land surveying solutions for commercial, retail and residential developers, municipalities, and homeowners. Our registered professional engineers and land surveyors have many years of experience providing these solutions and services. 617-744-7442 With friendly and private atmosphere, Sweet bakery is a place to meet friends, bump into old friends, or sit quietly and read newspapers. Known since 2009 for great cupcake, cake, and traditional espresso, Sweet bakery is now expanding to other modern types of cupcakes and soft drinks. 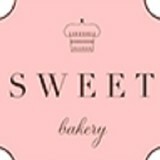 Sweet bakery is also well-known for its great customer service and excellent delivery service. Have a cozy time at Sweet bakery! Named Best 101 Cupcakes in America in 2014 by The Daily Meal, and awarded Boston’s Best Cupcakes in 2009 and 2010 by the Improper Bostonian, Sweet welcomes cupcake enthusiasts to its Back Bay, Downtown, Beacon Hill, Harvard Square and Chestnut Hill boutique locations seven days a week to indulge in signature Sweet confections. We are a fully stocked septic supply yard that carries Infiltrator and Arc chambers, pipe, fittings, pumps, panels, risers, covers, filters, specialty pressure fittings and much more. 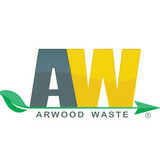 We are certified by the state as a WBE (Woman Business Enterprise). We also supply secondary containment liners for industrial waste holding tanks to meet code per Massachusetts laws. C.H. Septic and Sons prides itself on being the go-to choice for clients looking for Title V Inspections, Septic Tank Services and Septic Tank Video Location services. A1 Drilling & Blasting Co Inc's main goal is to execute with experience a complete scope of work in a timely, professional, feasible, and most importantly, safe manner. We are a full service excavation company with many long established customer relationships. We offer a strong base of technical expertise along with uncompromising quality of service and competitive prices. We are experienced in residential excavation work, call us today! Provider of Title V Services, including Septic System Repairs/Upgrades, and Complete Installations, Coots Bros., Inc. has been serving the south shore of Massachusetts for over 25 years and is conveniently located in East Bridgewater, MA.